Johannes Schulz, a visual artist from Germany has proven himself among the world class visual artists. He is not just an artist but a designer as well whose work is being recognized by the art lovers and the marketers. He has shown tremendous distribution in generating unique ideas to promote exquisite in several of his work projects. The work is not just related to contemporary arts but the focused is versatile. 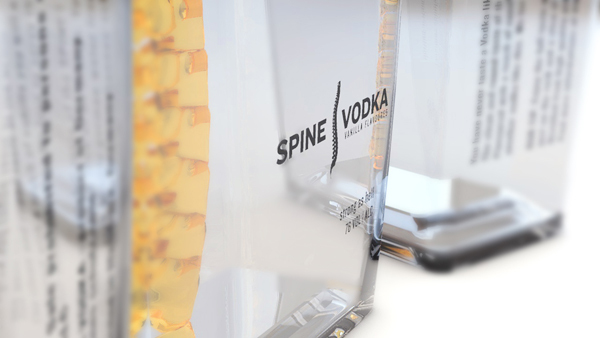 Spine vodka was a private project which the artist got to work on during his studies program at international communication design institute in Hamburg. It is among those early projects which the artist got in the early stages of his career. The drinking of vodka is associated to the strength of men. Hence the caption which he was given to derive an ideal packaging was, “Real Rink for Real Men”. 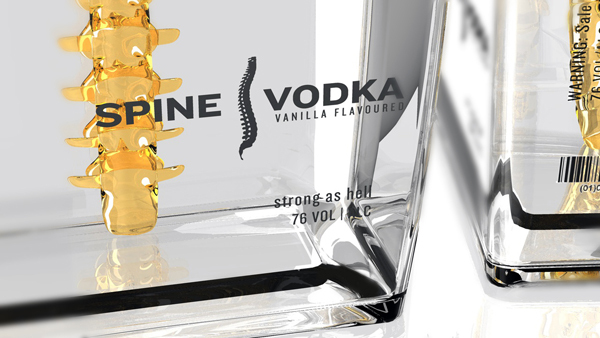 The project was to promote the strength related to standard vodka in a classical manner. 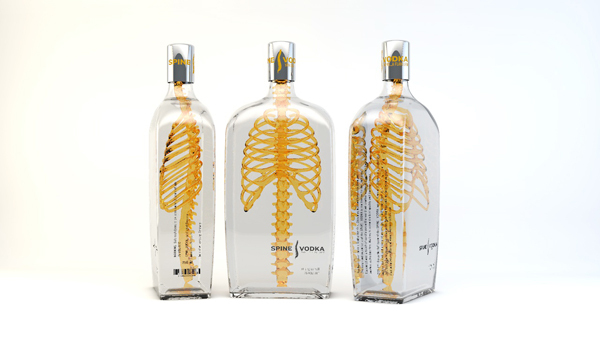 For this reason the artist related well the spinal code of human which is not just powerful but is the most significant set of bones for human body to the idea of strength of vodka. Hence the idea clicked and his project got approval. 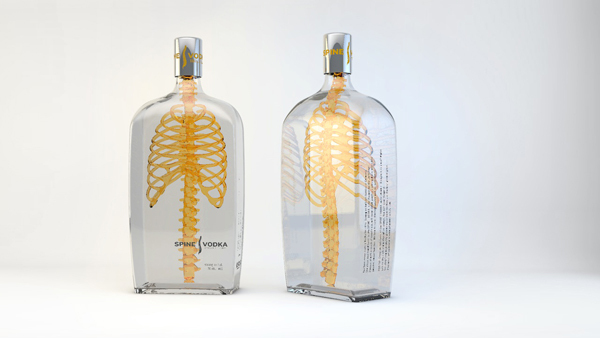 The amazing aspect of the package was the 3D effect embedded in its design. It is not like the regular 2D effect package. The number of consumers was raised because of the attractiveness of the package hence it has an appealing impact on the vodka lovers. It could shift their preference to this particular product.